If you’re in the mood for some adventure mixed in with a little bit of mystery, then Margrave Manor 2: The Lost Ship should do the trick! In the first moments of this sequel to the super popular hidden object game, The Secret of Margrave Manor, the lovely Edwina Margrave receives another mysterious letter addressed to her Grandfather, the famous treasure hunter Edwin Margrave. This time it’s from Thomas Raynes, who claims Edwina has inherited a ship named Aurora Dusk, which was declared lost in mysterious circumstances 10 years ago! The game begins when Edwina and Tom meet at the old Lighthouse and he immediately takes her to the spooky ship, where they start looking for clues as to the whereabouts of her grandfather. The mystery continues to unfold when they find a letter from the Captain saying they found Neptune’s gold and that Atlantis really does exists! Unfortunately, the crew found out about the secret treasure and there was a mutiny, which resulted in the Captain’s death. Now Edwina and Tom must look for the ship’s blueprint which could lead to the treasure! 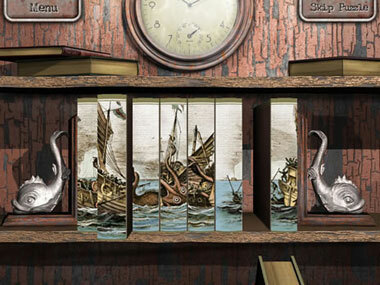 Margrave Manor 2: The Lost Ship consists of 20 chapters, each comprised of six hidden object scenes. Each scene is located in a different area of the ship so at one moment you will be looking for a diving mask or a shoehorn in the Galley, only to make your way to the Bridge to start searching for a pair of boots or a violin! 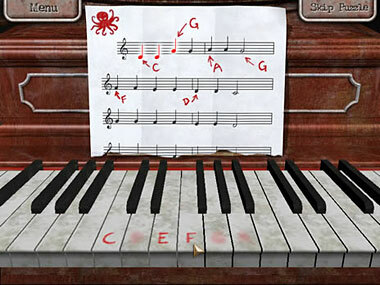 As you make your way through the hidden object scenes, don’t forget to keep an eye out for pieces of the blueprint. After all, who doesn’t want to find a lost treasure? Each scene also includes mini-games and puzzles, which blend in well with the overall storyline. Unlike some hidden object games, here the mini-games actually help you progress in the game; like finding the right key combination to open the door on the Port Deck or finding the right combination of gems on a jewelry box, which contains the Captain’s letter. Overall the game has excellent directions, which really help you understand what needs to be done at each level and scene. 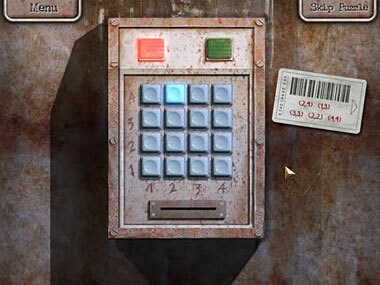 And what would a hidden object game be without a “Hint” button? Luckily it recharges itself every three minutes, which is helpful if you get stuck finding some of the more elusive items. 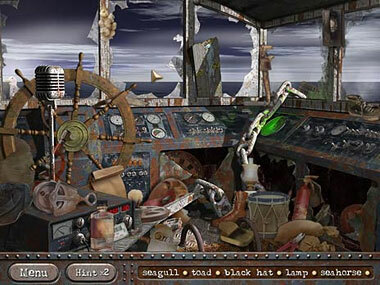 The twist in the hidden object scenes is that only four items at a time will appear in the list, and only those items can be removed. As you locate items, more will appear until you finish the complete list. Margrave Manor 2: The Lost Ship can be played in “Story” mode, which is the full version of the game or “Freeplay” mode, which is only the hidden object screens, without the mini-games and the puzzles. Unfortunately, Freeplay also cuts out the storyline, which is a shame as it adds excitement and mystery to the game. And, although there is no timer in either mode, you do get ranked at the end of each session according to the amount of time it took to play the level. The game’s exciting storyline runs between scenes and levels and is long enough to keep you entertained and drawn in but short enough to avoid getting bored. With amazing visuals and great attention to detail, as well as a chilly soundtrack this is definitely a must-play game for hidden object game fans who like a bit of mystery! Download and play Margrave Manor 2: The Lost Ship for FREE! This is a awesome game I love all your Hidden Object games you have on here it has been a great 2010 here and know that 2011 is going to be even better here at Free Ride Games and cant wait to see what is coming for the new year. Happy New Year Free Ride Games!!!!!!! love your games but I don’t see well and the screens are too small. Peggy, try playing the games in “Full Screen” mode (you can switch to this mode in most games in the “Options” menu). Hopefully that should help! I like all your games,i plan to tell all my friends. Great 2010 and all those great games, especially hidden objects, that I have been playing. I’m sure there will be more great games in 2011. HAPPY NEW YEAR!!!! I have played all your hidden object games and I am looking forward to more for 2011. Cant wait to see them. Happy New Year. They are in a class of their own. Better than better. Thax 4 add the game on new year. This old gal just discovered you/your games late in 2010. I decided to start with “Hidden Objects”. I wish you well throughout the new year and future. Just one thing–a request–to make the objects on some (not all) games more recognizable. Not so small I need to use a hint nor magnifier to realize what it is. Thanks. G_d Bless. Thank you ! I play your games every chance I get. I would like to let you know,free ride has made my holidays the best ever1!! !